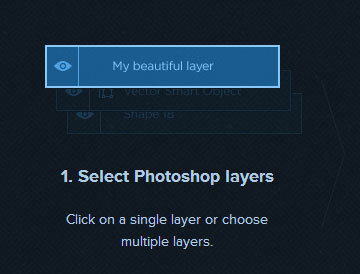 Adobe Photoshop is a graphic editing program. Photoshop is available more than 20 languages. It is an excellent editing photo tool. If a web designer prepares digital or scanned photograph for use in projects, it can be a website, book design, brochure or packaging .The first step will be done with adobe Photoshop. It is an excellent photo editing tool. Photoshop interface and tools are improving with each release. Photoshop functionality can be extended by add-on programs called Photoshop plug INS. There are various types of plug INS such as import, export, filter, color selection, and automatic. Photoshop plugins are aimed at providing addition image effects and tasks that are impossible to perform on Adobe Photoshop alone. It is a piece of software that enhances the functionality of Adobe Photoshop. Photoshop plugins can act like a mini photo editor to modify the image.. Photoshop plug INS help users to create awesome images and reduce the number of steps needed to accomplish the tasks. The Photoshop plug ins allow user to perform those things which they can’t able to do with the features built into Photoshop and make the work easier and faster .Some of them are collection of filters and other are programs that a user may find useful in export and optimizing images . Plug INS can be open within Photoshop and many other editing programs. Photoshop is a fantastic tool-capable of producing images, high quality videos as well. Photoshop plug ins give photo a new makeover . There are many plugs in that are available on Mac app store and which can be downloaded free. There are plug ins for photo effects, noise reduction, pointing, abstracting, coding, layouts, brushing, and many more. Such as virtual photographer, CSS3PS, Silver EFEXpro2, Fractal us , Dream suite ultimate, Tychy panel 2, Guide, Cut and Slice me, Divine element, Mr. Stacks and Enigma 64 and many more as well. 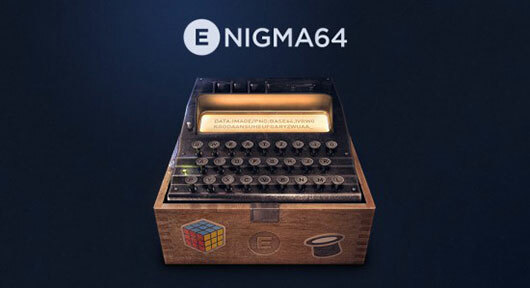 Enigma 64 is designed with the idea of saving precious time nothing horrible and ridiculous is included in it .It has simple interface and saves a huge amount of time and it is even works faster than the competitors’ apps. This app greatly enhances the work flow with minimum effort. It allows users to use greatest CSS techniques as well. It consists two main options for some it can be difficult to swallow but for others the current options work amazingly .It has a little progress bar for the whole process .Encoding images are very helpful in the development stages of the website. It is also worth seeing all those characters magically turns into a amazing image. With the help of this app user can get images from Photoshop in a fastest way. When a web designer slicing an optimized images it can be hectic, annoying, and time taking tasks. Slicing an image whether that image is a part of an element, background exporting and optimizing it can be time consuming. For this purpose enigma64 is designed to perform these tasks in a convenient way without wasting too much time. 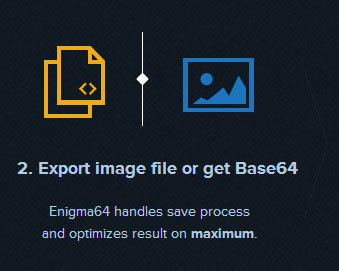 Enigma 64 is a Photoshop plug in that not only does slicing exporting and optimizing images but it also helps the user to use base 64; it performs exporting their optimized images. 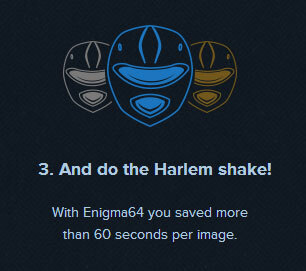 Enigma64 is a cool app with the ability to encode layers into base 64 with the matter of a minute. It allows a seamless, hassle free, implementation of images from Photoshop right into the code. Users use different applications or web apps for optimizing images and certainly another web app to do encode that image into base 64.It will take about a minute if a user is dealing with multiple images at the same time. Before getting images optimized user needs to export them as well which again would take a second. Enigma 64 eradicates the need for all these individual services and put them in one place that lives inside enigma64 app. Using this app user can easily export even tiny transparent images with a click. 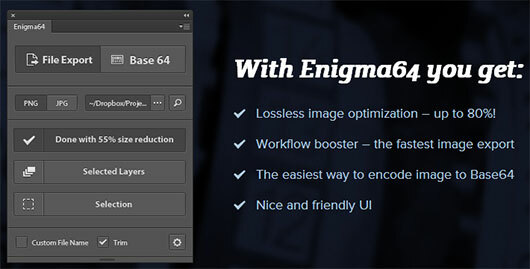 Working with enigma64 will be a pleasant experience for the users. Working with this app is effortless .Once a user set it up it becomes much easier to use.